Nominations have closed and we have more than two dozen nominations for Stem Cell Person of the Year 2014. It’s an exciting, diverse group including some news faces as well as nominees from years past as well. You can now vote for your choice for the top finalists in the poll below. One vote per IP address is allowed per day. Voting will end on October 22 at midnight. The winner of the voting may not be the overall winner of the 2014 Stem Cell Person of the Year Award, but more votes sure cannot hurt. This voting will pick the top 12 finalists from whom I will choose the winner. A short bio of each nominee is included below the poll with the nominees listed in alphabetical order by first name. Their names have links to pages about them. In addition, I have included a quote from the nominator(s) in green. I encourage you to learn more about these amazing people. Malin Parmar. Associate Professor, Developmental and Regenerative Neurobiology, Lund University. Top neural regeneration scientist. “Young, hard worker who is doing very well”. Pope Francis. Leader of Worldwide Catholic Church. 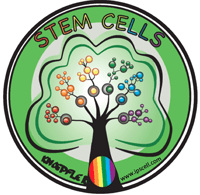 “Strong supporter of adult stem cell biotechs and research”. Robert Lanza. CSO of Advanced Cell Technology, which has multiple ES cell-based clinical trials ongoing. “Visionary and practical so makes the impossible possible with stem cells”. Tory Williams. Stem cell advocate and author of the 2014 book, Inevitable Collision. Co-Founder and Executive Director of the Alabama Institute of Medicine (AIM). “A true hero who inspires and makes real things happen like AIM”. Some notes. I do not endorse any specific nominee and just because someone is a nominee does not mean I support all of their specific efforts. I also do not necessarily agree with all the language used to describe the candidates by the nominators. Voters who repeatedly do not follow the rules my have their votes deleted and be blocked from voting again. thankful for all how work so hard. It is not a one man job. Is there any way to include a ‘write-in’ candidate. Dan Poynter is a tremendous candidate — having just undergone a complete stem cell replacement and then writing the only ‘how-to prepare and recover’ book available written by a patient! Not only that, Dan is a super guy whose motivation is to help others going through what he did. Thank you!